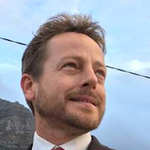 Long standing Church Street resident, local heritage activist and Tulbagh hotelier, I am a member of the Tulbagh Museums Board of Trustees and the Dream Tulbagh Organisation. In addition to being a registered tour guide, I have recently complected a Masters thesis in Architectural conservation. I am delighted to have this opportunity to share with you my love and passion for Tulbagh and the remarkable history of Church Street.